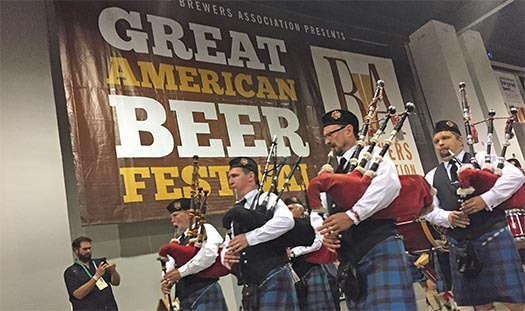 Session 2 of the Great American Beer Festival kicked off Friday evening with the traditional bagpipe and drum corps procession through the festival. 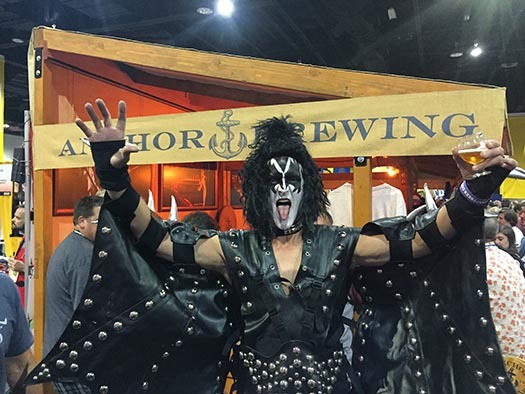 The Friday session at GABF is typically a bit more “lively,” and this year did not disappoint. 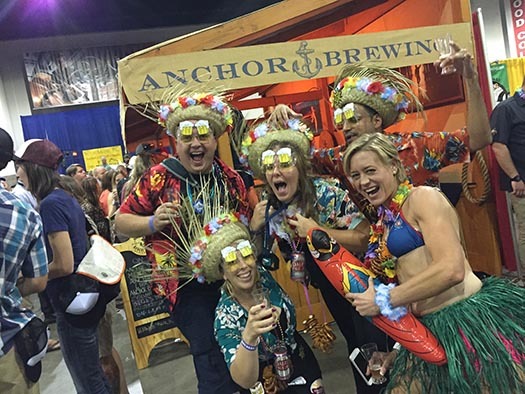 Festival attendees were invited to take part in a costume contest, and a number of creative costumes made their way to the Anchor booth. 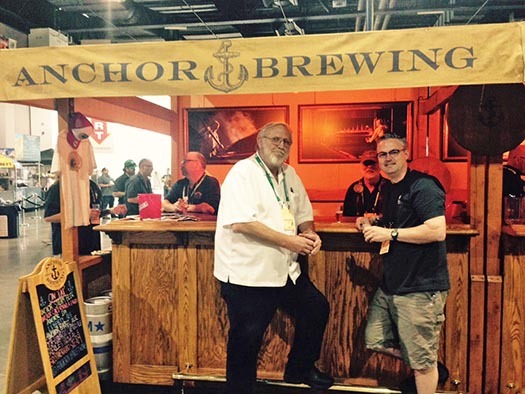 A number of industry friends stopped by to grab an Anchor brew, including fellow Northern California brewer Vinnie Cilurzo of Russian River Brewing. 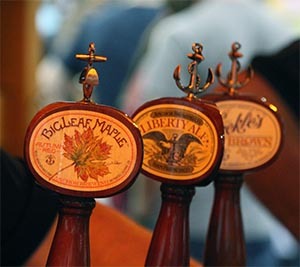 2013 Anchor Christmas Ale made an appearance in the draught lineup at session 2, along with a few other featured beers. 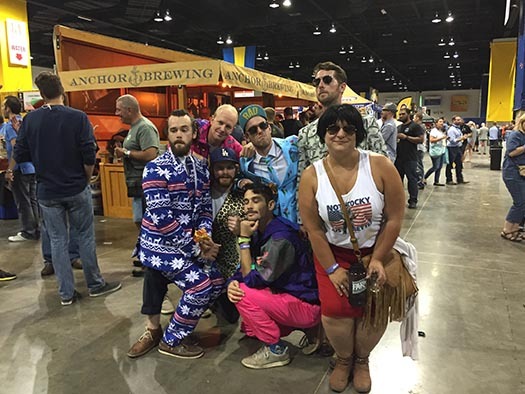 Saturday is a busy day, with the members session at noon, followed by the final session Saturday evening.